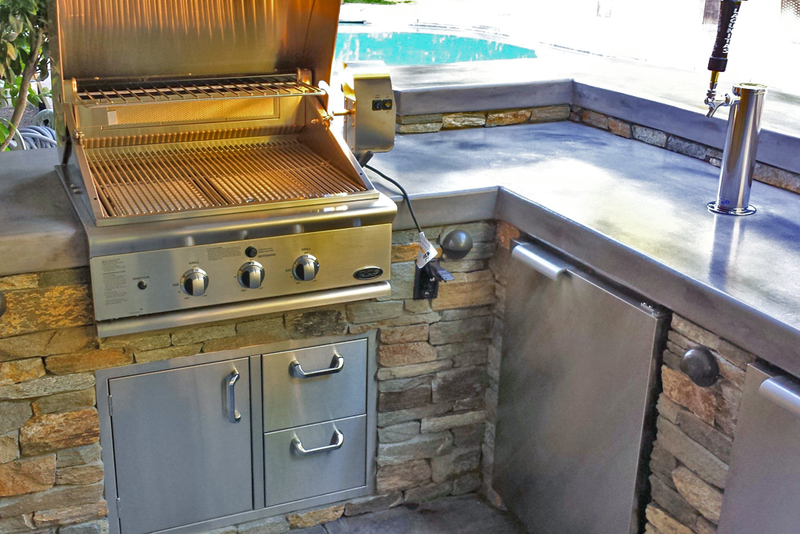 Outdoor Kitchen with a custom design and a modern twist. 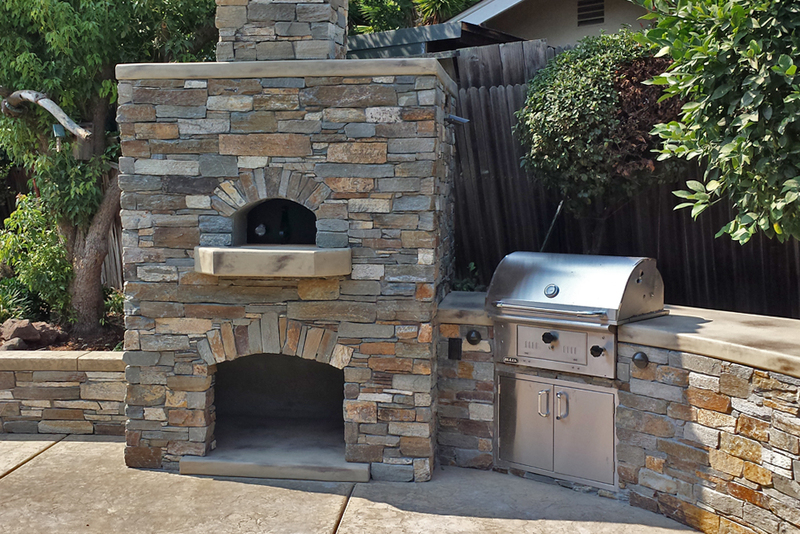 Sydney peek natural ledge stone, Separate custom fireplace with seating area, sink and much more. 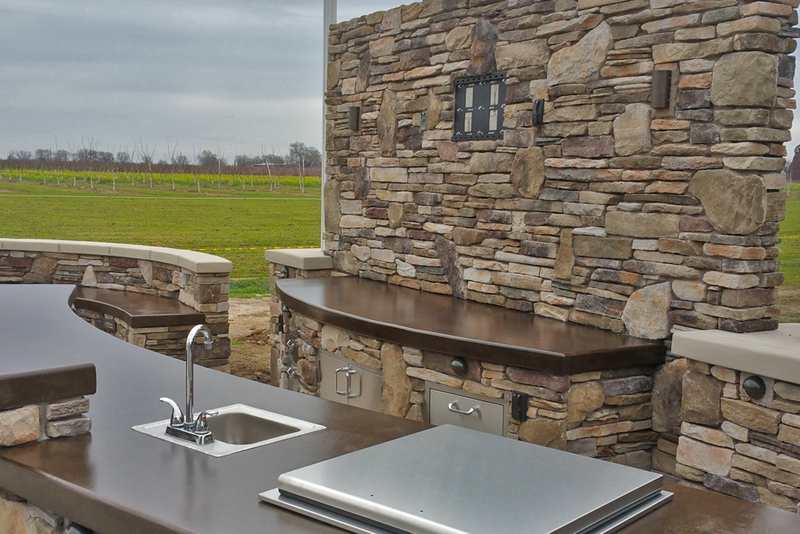 This is how you utilize a small space and still make a huge impact. 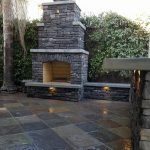 Whether your backyard is in Serrano of El Dorado Hills, Empire Ranch in Folsom or Blackstone of El Dorado Hills, this is a great start for design inspiration. 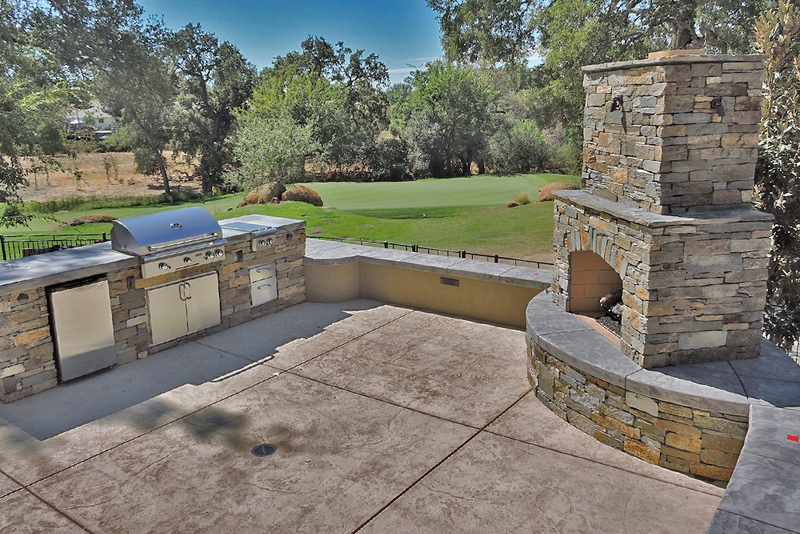 If you have been lusting after a beautiful outdoor kitchen and lounging area but are stuck with just a tiny patio or backyard at your Sacramento, Folsom, or El Dorado Hills, you are not alone. 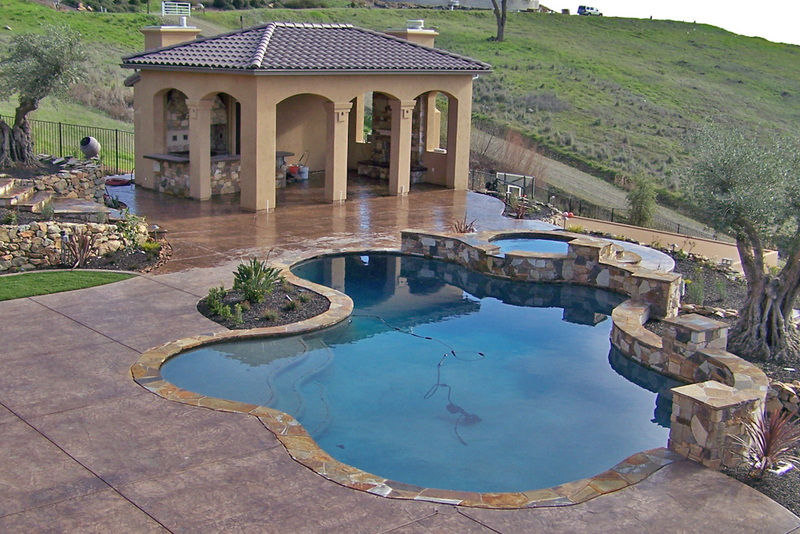 In fact, the sort of large rambling backyards that lend themselves well to huge patios are more the exception than the norm in this area. 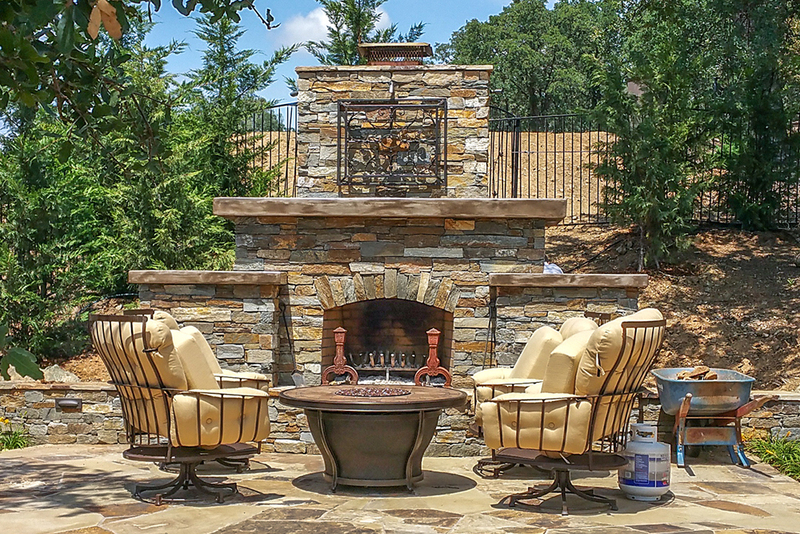 There are far more houses, townhomes, and apartments that have very small areas to work with, where even a full size patio table and lounge chairs make the area feel cluttered and crowded. 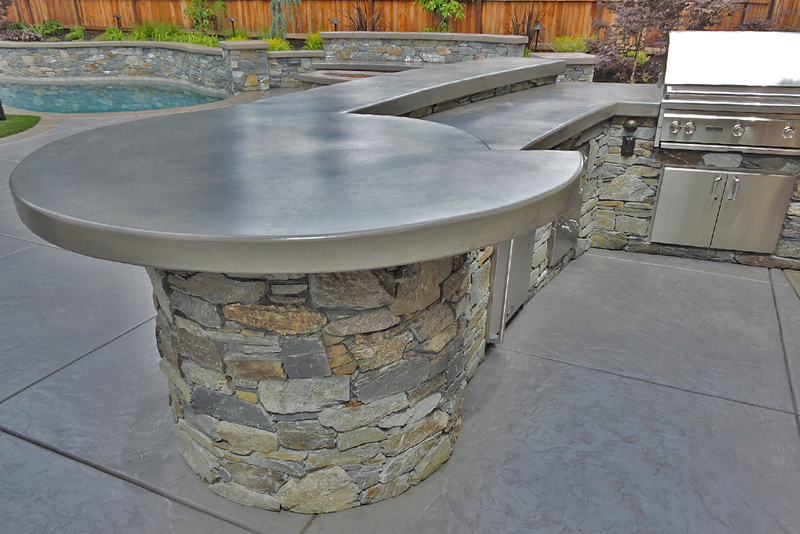 If you are limited with regards to space n your Folsom or El Dorado Hills home, are you doomed to never be able to enjoy an outdoor kitchen or backyard lounge space? No, absolutely not! 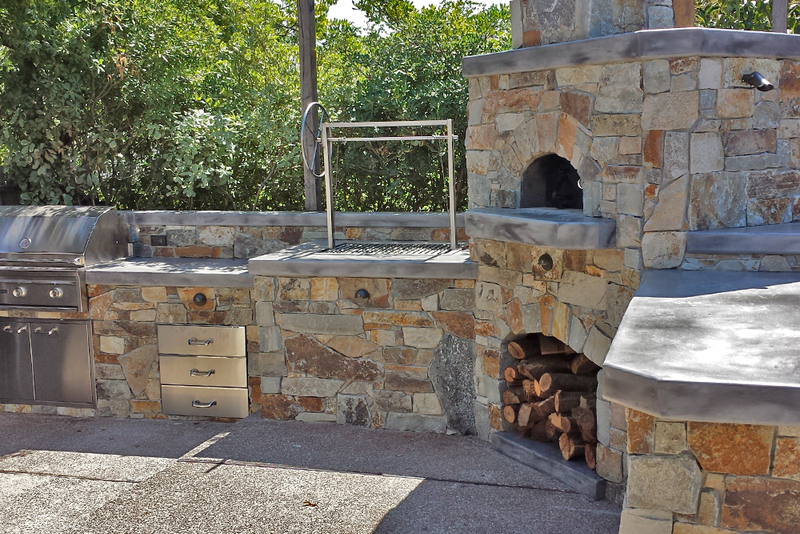 You can have an outdoor kitchen, fire pit, fireplace, or hardscape that totally fits your needs and fulfills your dreams. 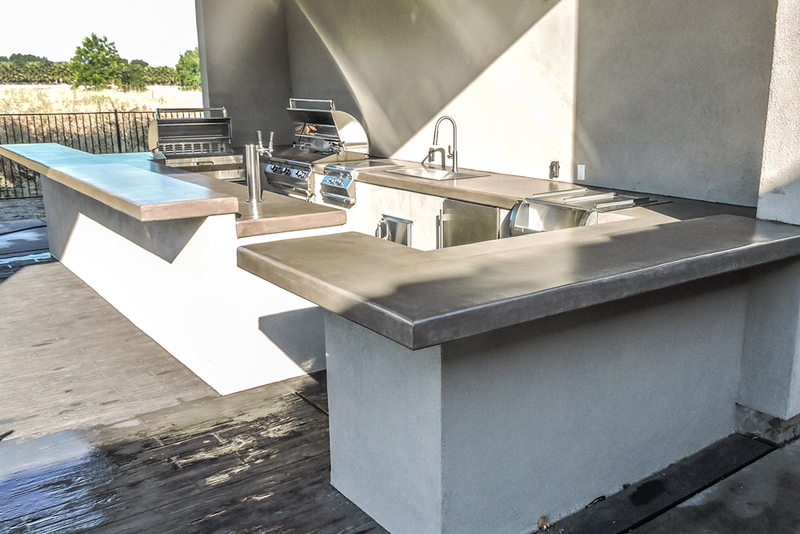 It just has to be designed with the small space in mind. 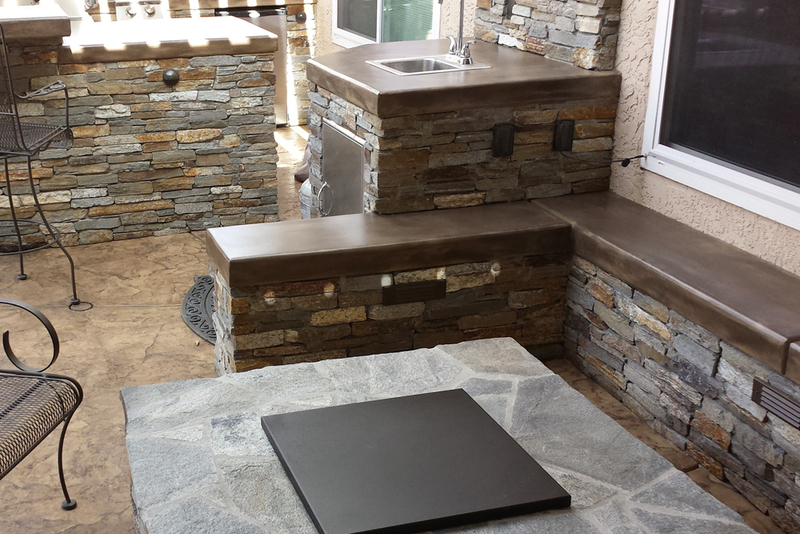 This particular outdoor kitchen and living area is just one example of the amazing things that can be accomplished with our expert designers at Custom Image Hardscape. 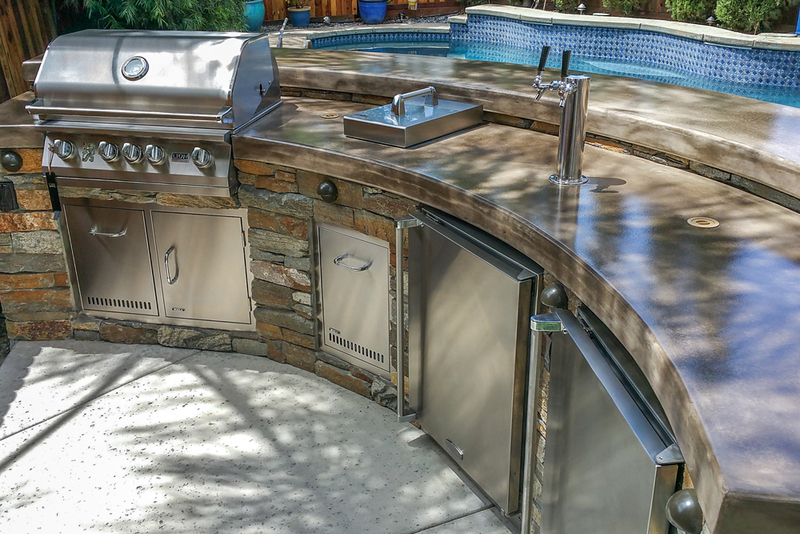 This outdoor kitchen has a custom design and a modern twist. 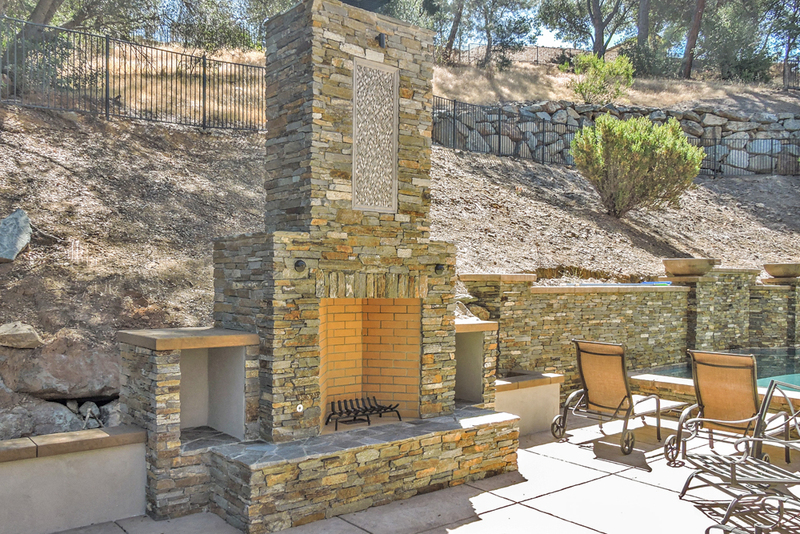 For visual interest, it features syney peek natural ledge stone, separate custom fireplace with seating area, sink and much more. 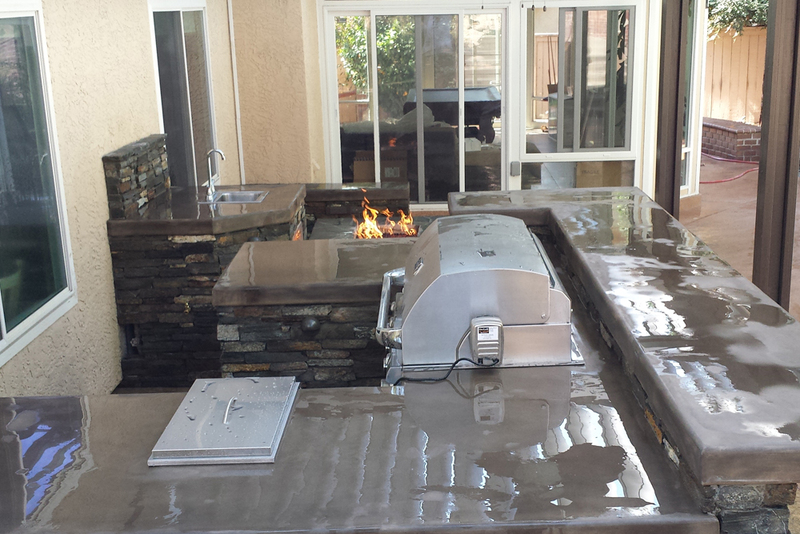 This is how you utilize a small space and still make a huge impact. 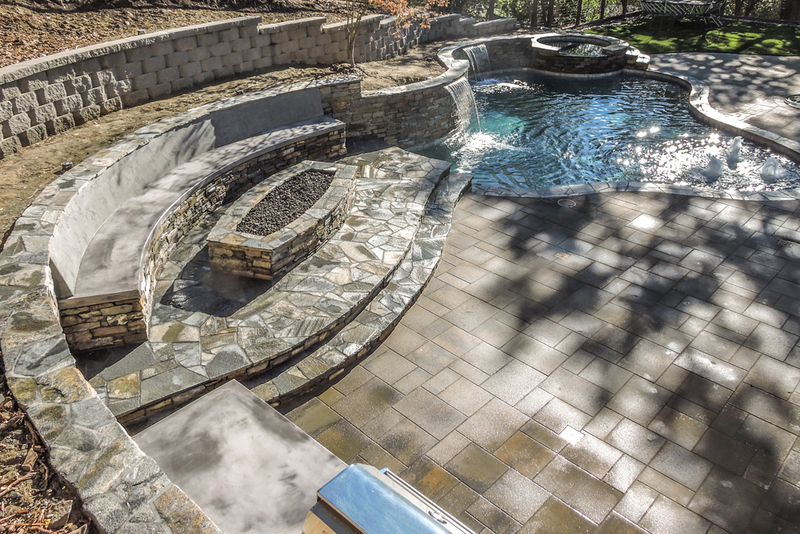 Whether your backyard is in Serrano of El Dorado Hills, Emprei Ranch in Folsom or Blackstone of El Dorado Hills, this is a great start for design inspiration. 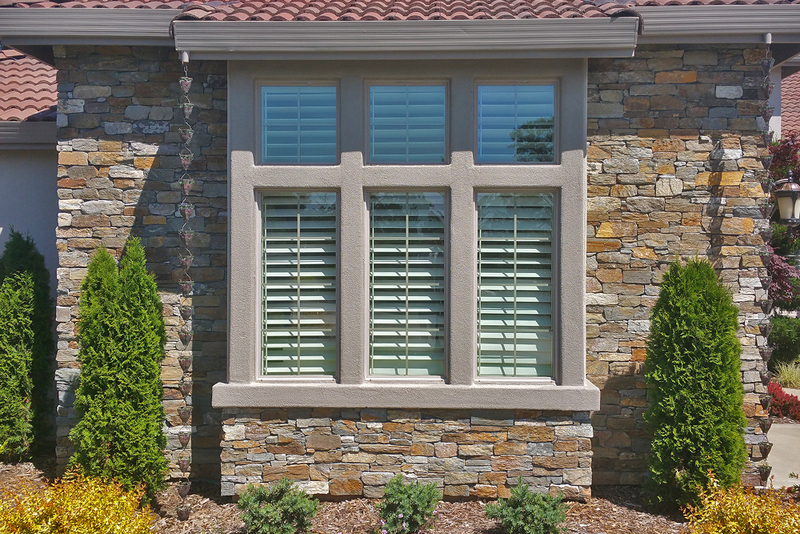 The first thing to notice about this design is how the dividing walls are used to split up the space. 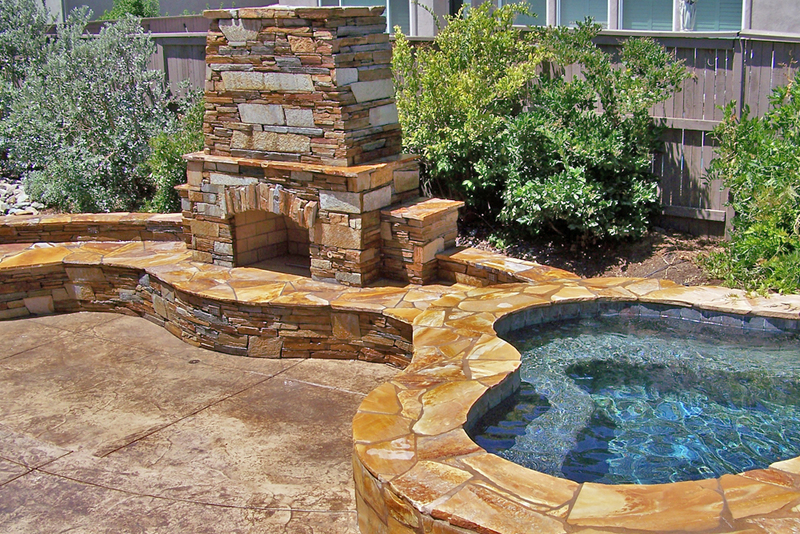 This might seem foolish to do in a small area, when the available space is already so small. However, it is actually the best thing you can do with limited space. 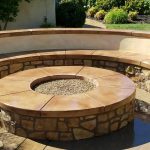 If you leave the patio completely open and stick a fire pit in the middle, everyone feels that they are close to the fire pit. It feels crowded, even out to the edges. 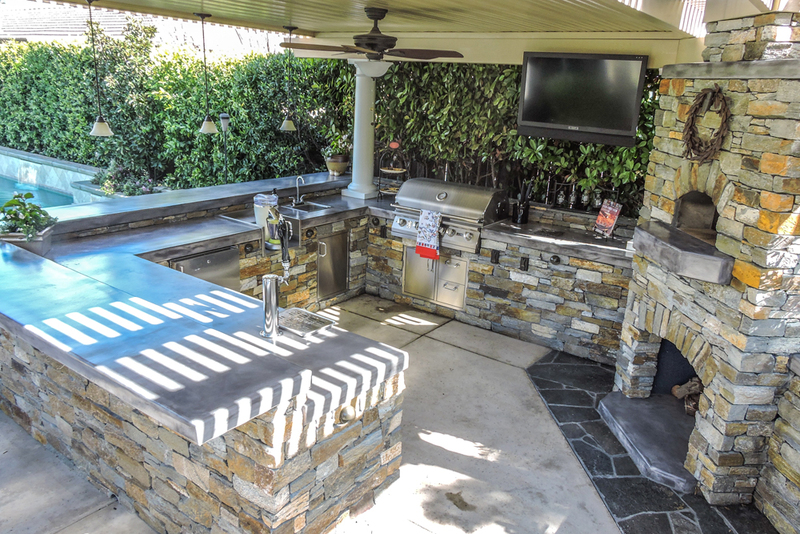 If you put a barbecue grill to the side, the person grilling is going to feel like they are tripping over all the other guests. There is no obvious flow to the space, so there is no obvious place where people are supposed to be or go. 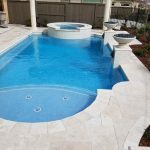 This same awkwardness happens with master bedrooms that are too big – there is a bunch of wasted space in the middle of the floor, while the room itself does not feel any more functional than a more modest sized room. However, looking at this design for the small patio, it is obvious where the flow is and where people are supposed to go. 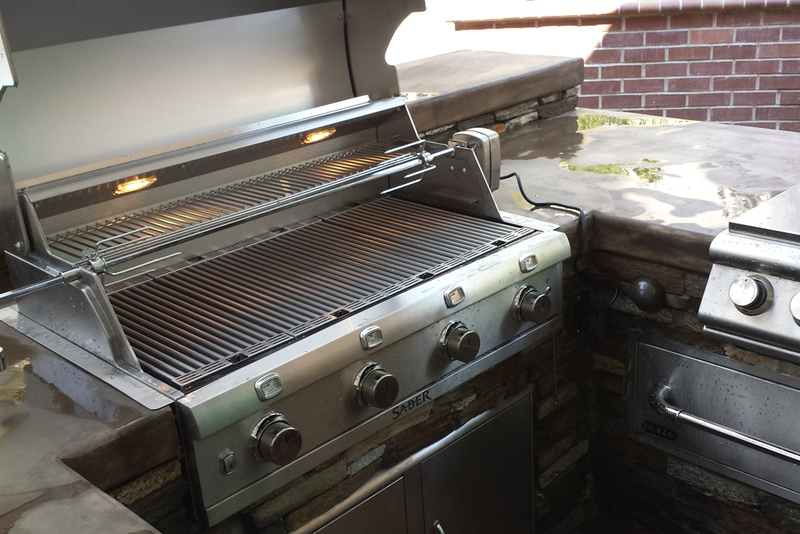 The person grilling is behind the grill; nobody else is there because there’s not room for anyone else. The chef puts the food on the bar and people go to the other side of the bar to retrieve it. 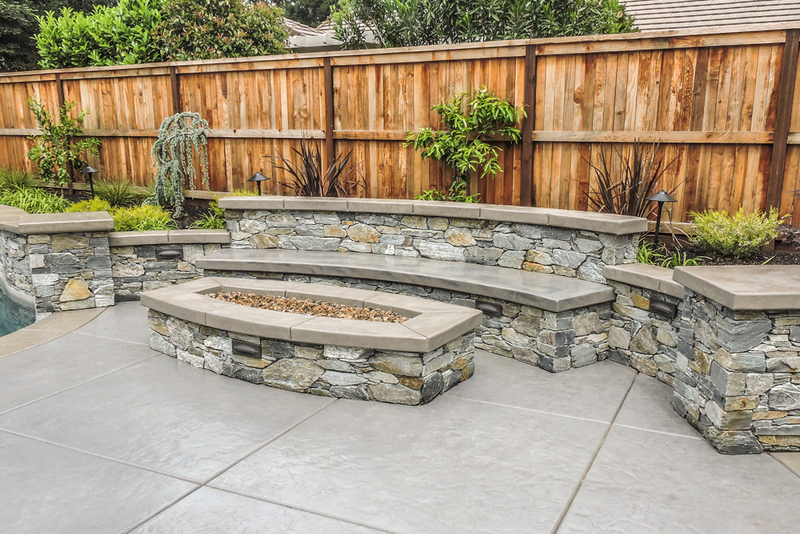 There’s ample room for seating, without anyone being too crowded. 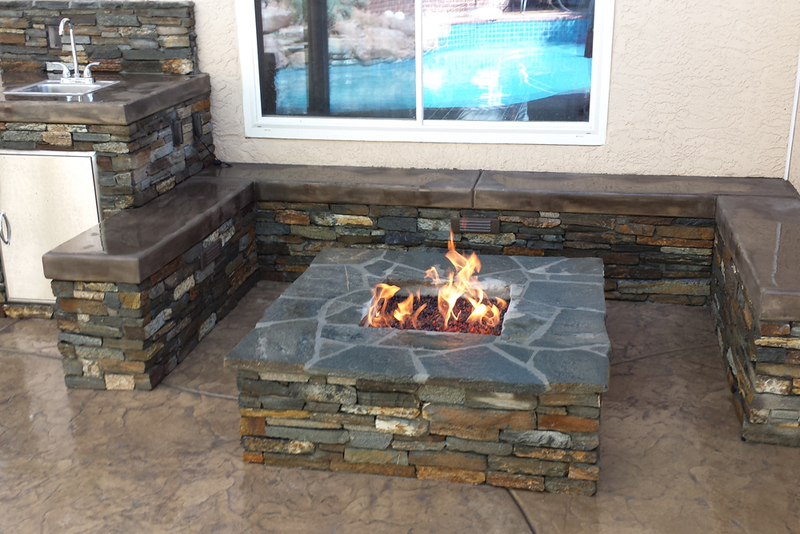 On the other side, there is just space enough to walk around the fire pit, which means that people can sit close to the fire if they want to be warmer, and they can sit by the bar instead if they want to be a bit farther away. 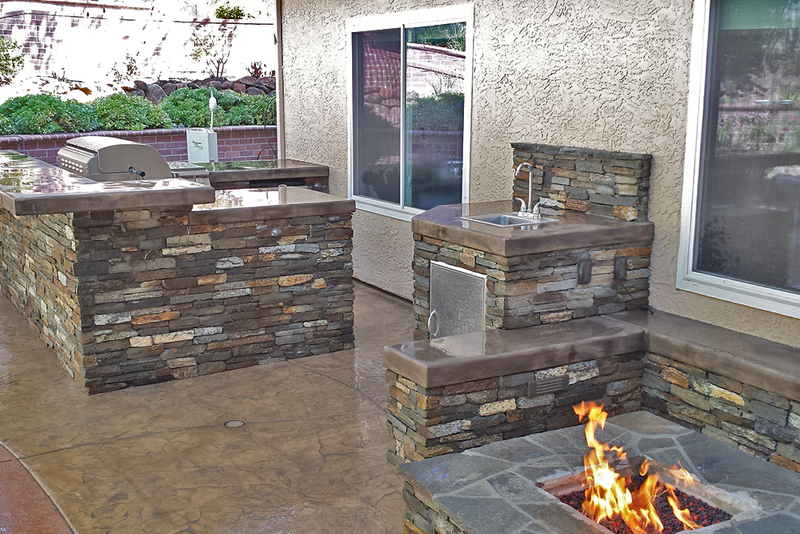 The patio is optimized for maximum efficiency, and at the same time it is perfectly welcoming and cozy. 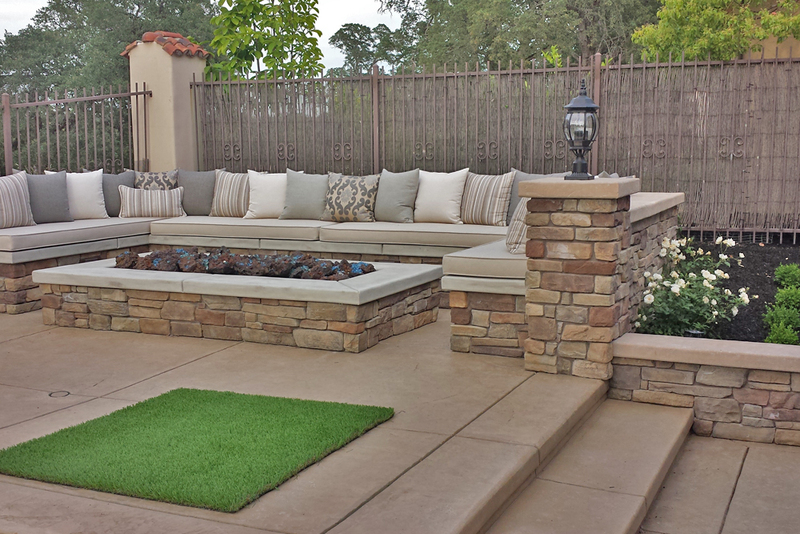 If you have a small outdoor area, this design is the perfect example of how to maximize a small space and make itt perfectly inviting.